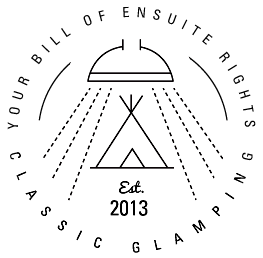 If you think of Classic Cottages as the dependable, affable 40yr old holiday cottage specialist, Classic Glamping is the feral one who always wanted to be outdoors, climbing trees, whittling sticks and making fires. But the two are of the same stock with the same purpose - to make your time away as great as it can possibly be. We live and die by our mantra: every detail matters. Their founding ambition was to change the way holiday cottages were perceived by guests, as basic boxes with nasty furniture and a tin pot saucepan. In short, they wanted to make self-catering more of a pleasure. They worked with the owners of the cottages to turn them into homes. So you could arrive after a long drive, to flowers and homemade cake on the table, a fire all ready to light and everything in a kitchen to enjoy a full roast dinner. This set a new standard for the industry and created a sea change in holiday accommodation. We've defied the laws of nature to create a hot shower in every one of our nests. Not the compost type, it's one that flushes. You’re covered by our standards across the board – from welcome tray to in depth inventory.